One-hour rides are organized from april to october and start early in the morning or late in the afternoon. 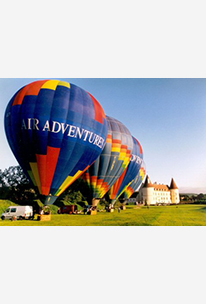 The adventure last 3 hours, including inflation, transferts and the Champagne ceremony. 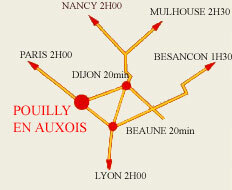 Our main base is located at Pouilly-en-Auxois (21). Balloons go with the winds and generally don’t come back to the launch field. A radio link is permanently ensured with the chase crew who follows the balloon by minibus. It’s not cold in the basket a casual outfit is enough. 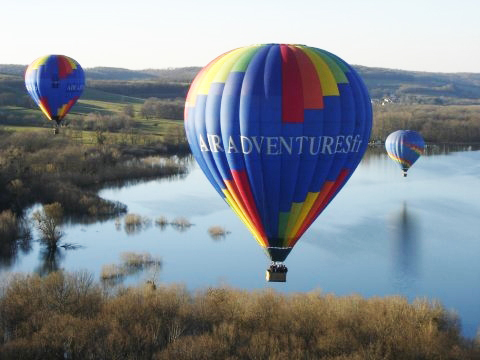 We may arrange private or group flights. 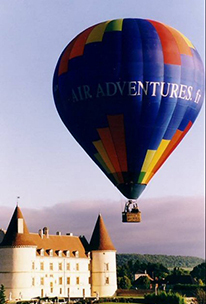 For groups, the take off site may be chosen depending your travel itinerary. 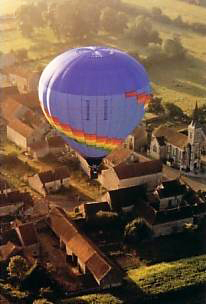 For exemple from : Alesia, Auxerre, Beaune, Chablis, Chalon-sur-Saône, Dijon, Nuits-Saint-Georges, Vézelay, etc.